If you don’t know by now, I am a huge fan of Atomic Robo, the comic book series from Red 5 Comics written by Brian Clevinger and drawn by Scott Wegener. I was very excited when it was announced that animation studio The Fictory would be working on an animated short based on the character and was even more excited when I saw some footage from it. The film is called Atomic Robo: Last Stop, and while some work has been done on the project, finalizing it has been a bit of a problem. Now it’s time for me, and possibly you to chip in to help The Fictory complete production on the project by donating to their Kickstarter project. One of the amazing things about Atomic Robo is the way each story arc has managed to tell its own kind of tale. We’ve had war stories, pulp adventure stories, and horror stories. With Atomic Robo and The Ghost of Station X, we get a full-fledged mystery, and with issue #5, we finally learn who has been behind the various problems that have been besetting Robo for the previous four issues. What we learn is surprising and a little heart breaking, and is just another example of why this is such a great series and why it should be on everyone’s reading list. 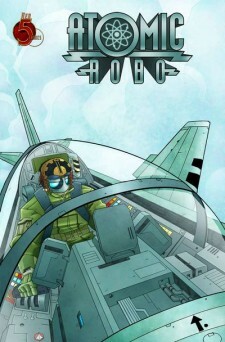 Atomic Robo is back, baby!!! I am thrilled that one of my favorite series has returned for its sixth series, this time subtitled The Ghost of Station X. If you have never heard of Brian Clevinger and Scott Wegener’s series before, it tells the tale of Robo, an automaton created around the turn of the century by Nikola Tesla. 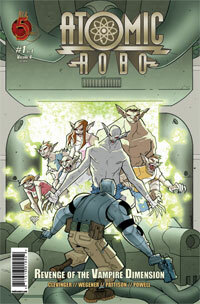 Each miniseries takes place in a different time period in Robo’s life, bouncing back and forth in time. 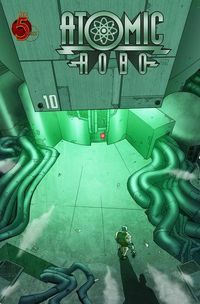 Volume 6 takes place in modern times, and deals with Robo and his team of Action Scientists being asked by NASA to rescue the crew of an orbiting space station. Unfortunately, they may not have the time or equipment in order to make the rescue. These are the Action Scientist’s though, and no job is beyond their ability. Our August Doom Of The Month will be Local by Brian Wood and Ryan Kelly! 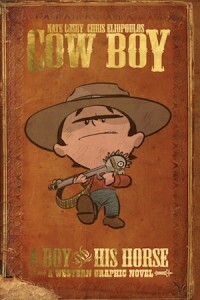 If you want to read along with us, head on over to Instocktrades.com or DCBService.com to pick up the hardcover edition of Local for a super price! Read up and be sure to check out our special review episode! 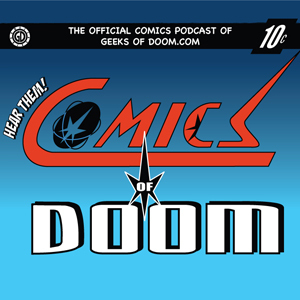 Check out Episode 86 of Comics of Doom, the official comics podcast of Geeks of Doom. Click HERE to open the podcast player in a new window. 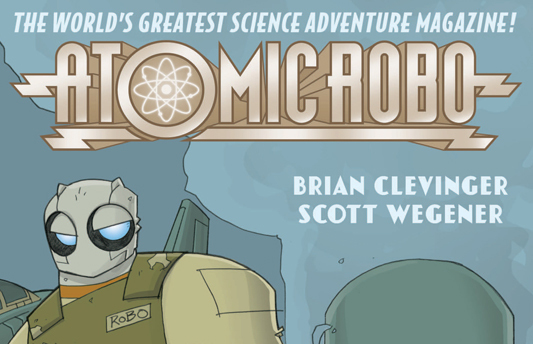 For three years now, Brian Clevinger and Scott Wegener have been presenting us with the ongoing adventures of Atomic Robo and his fighting scientist. They’ve given us stories of giant Nazi killing machines, walking pyramids, and monsters from beyond all time and space. I’ve read this series since the beginning, and I have to say that this is the best issue of the series yet. 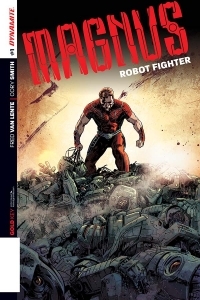 The mix of comedy and action has been this series strong suit from the beginning, and it remains one of the best things about this series, but artist Scott Wegener has really improved since the first series and maybe this is just the first time I really appreciated that fact. He has become a master at laying out the panels on the page in the best way to tell the joke. The layout of each page is very simple; four or five panels each page, but the images that he chooses for each page work perfectly. The storytelling is rock solid, and everything about the art makes this comic work.